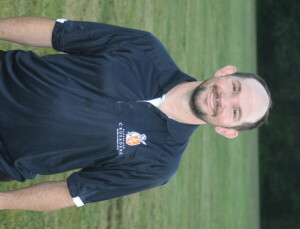 Brandon Wolfe started playing rugby at George Washington University in 1995, where he was named Captain in 1998. Before coming to Cleveland he played with the Potomac Athletic Club. After playing with PAC, he bounced between Cleveland and Cincinnati, playing for the Cleveland Rugby Club and the Wolfhounds, respectively. While he was with Cleveland he acted as the team’s Treasurer and Match Secretary, and he was a Captain and Selector for three years in Cincinnati. Prior to the establishment of the Cleveland Crusaders RFC, he acted as the Cleveland Rugby Club’s President. As a part of the Crusaders RFC, Brandon will act as President off the field and a Player-Coach on the field.